Describe the beginning making process. In my opinion, setting it up was very easy. I didn’t have any unclarity of the prosses so I finished it fairly quickly. I boiled the tea before I went to bed and in the morning I added sugar and vinegar and in the end, I added the kombucha. What changed over the weeks? What temperature was it stored in, was the liquid quality clear, or not? Be observant, and descriptive. 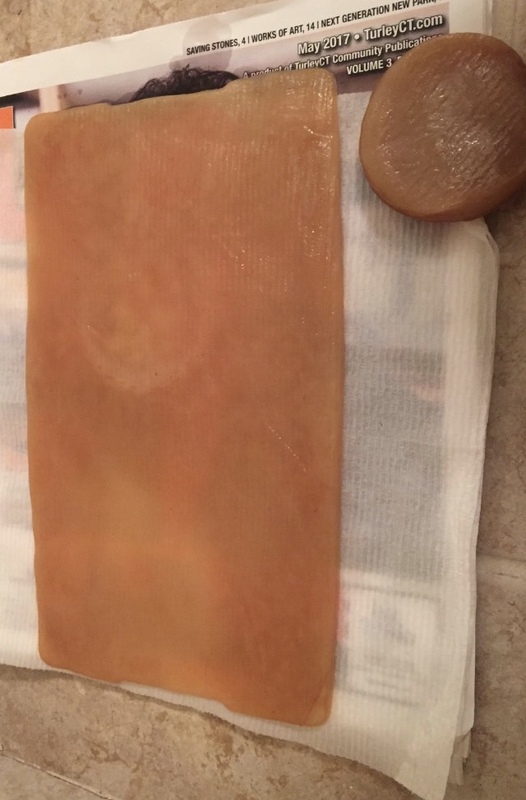 What was the rate of growth of the surface SCOBY? Take images before you harvest and in the cleaning/drying process. Mine began to form a layer the 3rd day which I thought was very surprising. I left it in the bathroom cabinet in the dark and I think it was a bit cooler than room temperature. The liquid was very dark and not so clear when I checked it. I think it grew at a pretty fast rate. I thought it would take longer. What did you anticipate would happen and what occurred? I anticipated that it would grow a lot slower but it grew much faster than I expected. If you plan to experiment with the drying process mention what this is and take images. 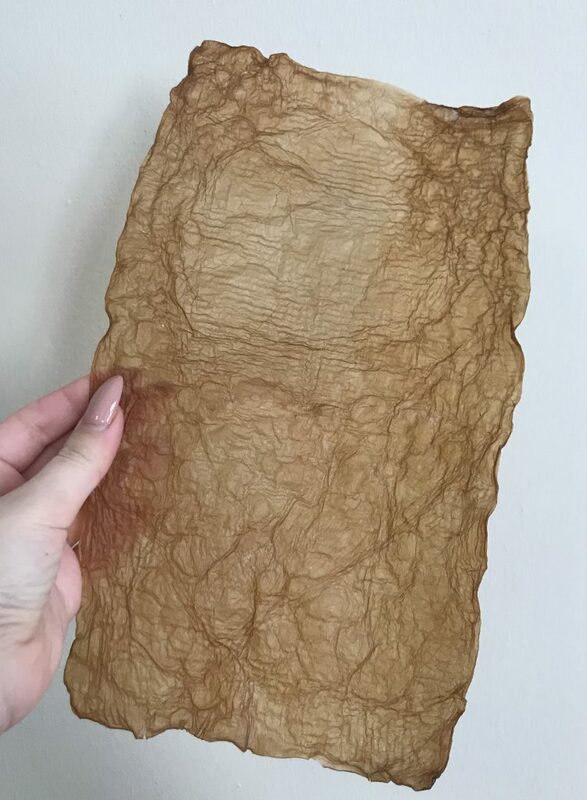 I dried mine on the top of some newspaper and a tissue paper which had an interesting texture. so when it was dry it has the texture of the paper.